Avoid excessive brushing if you have flyaway hair. Although flyaway hair can occur at any time, the problem becomes especially noticeable in dry hot weather and during winter when heated indoor air contrasts the cold outdoor air. 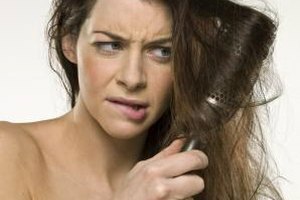 These low-humidity situations often result in unruly hair that sticks straight up or flies every which way. Trying to reign in wild hair with a comb or brush only creates static electricity that makes the problem worse. A few bad hair days inevitably occur, but you can reduce the flyaways by keeping your hair healthy, moisturized and well-conditioned. Shampoo your hair every other day, using a hydrating shampoo or a shampoo for damaged hair. Avoid shampooing every day because excessive shampooing strips the natural oils from the hair. Rinse your hair with cool water to seal the cuticles and prevent frizz. Avoid very hot or very cold water, which may damage your hair. Pat your hair dry with a fluffy towel. Don't rub. 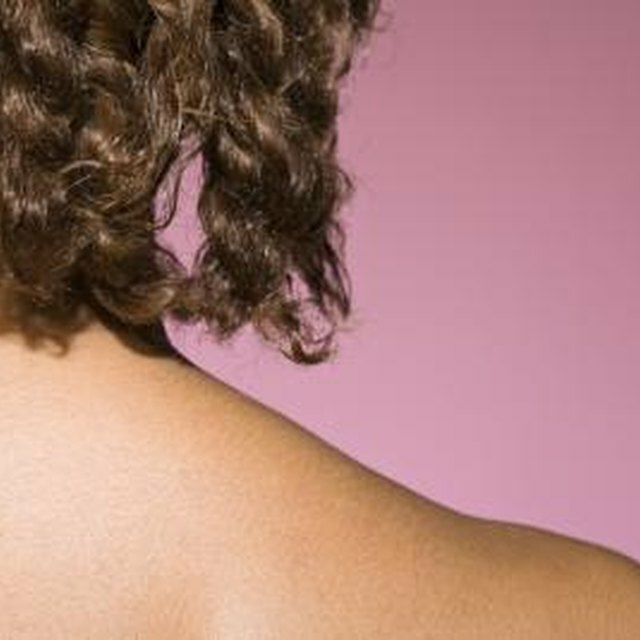 Apply a moisturizing conditioner after every shampoo. Give your hair a deep conditioning treatment with a hair mask or other intensive conditioner once every week. You can also massage olive oil into the ends of your hair before bed, then rinse the oil from your hair in the morning. Use a wooden brush and comb to prevent static electricity. Avoid excessive combing and brushing. Style your hair with your fingers whenever possible. Use styling tools sparingly. Set blow dryers on the lowest heat setting, then direct the air at the roots of your hair, not the ends. Avoid flat irons whenever possible. Remove shirts, sweaters, hats, coats and scarves carefully and avoid rubbing the fabric against your hair.